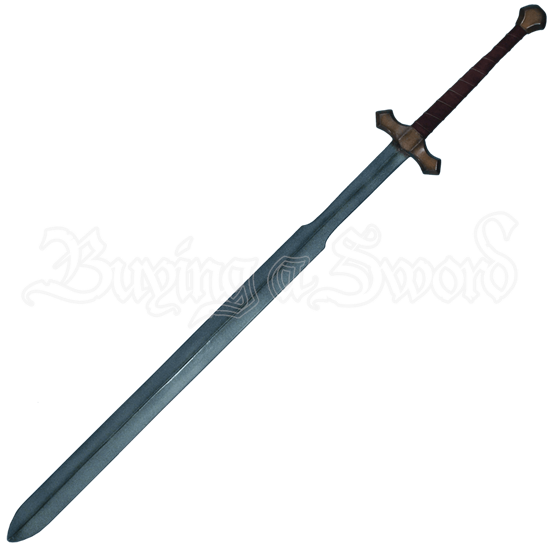 For the LARPer who ventures into high fantasy realms as well as historical eras, we offer the LARP Great Sword. 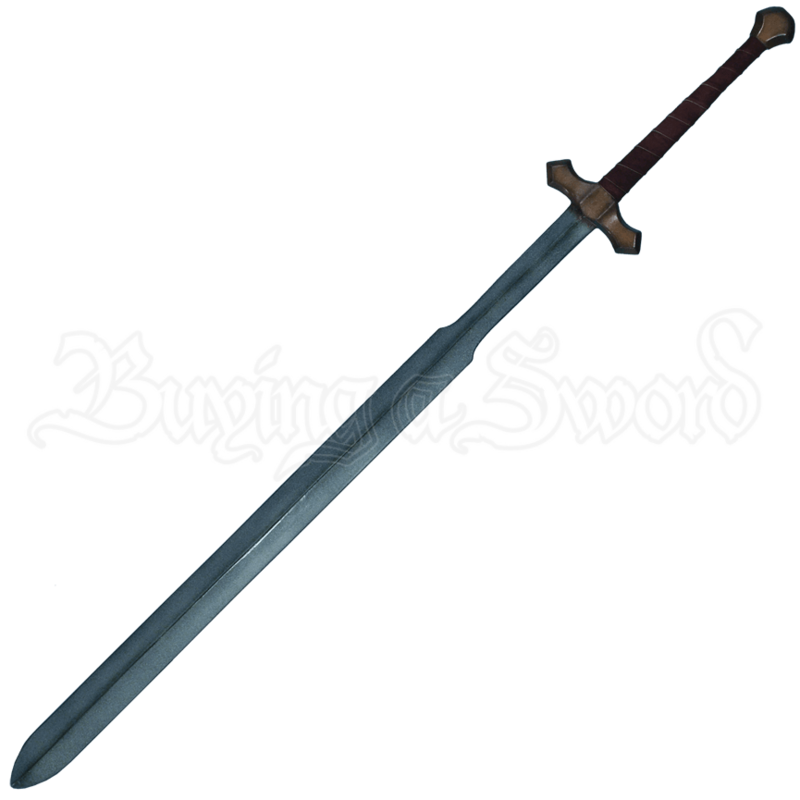 Baring a traditional design perfect for a variety of characters, this two-handed sword belongs in your roleplay arsenal. Hand painted in a metallic finish, the double-edged blade possesses a central ridge and a ricasso just below the crossguard. Split-leather wrapping strengthens the grip of the cruciform hilt.